May 2009 was a month that I will remember for quite some time. In early May we met seventeen Talmidimers (servants) at the Ben Gurion airport for our first-ever Talmidim Tour. This tour had a threefold mission: to SERVE, STUDY and also TOUR. Upon arriving Friday evening (Shabbat), we immediately made our way to Beit Bracha, a Prayer and Retreat Center in the Galilee. Our accommodations were inspiring as we had the cliffs of Arbel on one side and a magnificent view of the Sea of Galilee right in front of us! Our new-found friends at Beit Bracha had prepared a Shabbat meal for us and all of us felt right at home! Our work mission for the North was to work in Tsefat at an Orthodox School for poor and needy families. One of our missions was to work on refurbishing their bomb shelter. In Tsefat, they have 15 seconds to get to a shelter when the alarm sounds! Besides the shelter, we also worked at a variety of projects, from painting to preparing organic gardens to redoing a school bus stop to make it safe for the children. We brought gifts for the children and for many of our Talmidimers, their hearts are still in Tsefat. Walking the Land, especially the Galilee, truly changes lives! The Galilee was the home of the first School of Disciple-ship, where Jesus taught and performed so many of His miracles. And then of course there is the Sea itself. Over the years we have built a close relationship with Daniel Carmel, captain of the boat named Faith, who led us in worship (in both He-brew and English) on the Sea of Galilee! We left the Galilee and headed for a float on the Dead Sea, but on the way we had to stop at Gideon Springs as well as En Gedi for our selah moments! We then made our Ascent to Jerusalem—the City of our God, the mountain of His holiness, beautiful for situation, the Joy of the whole earth… (see Psalm 48). Our work project in Jerusalem was to paint and landscape the apartment of two mentally challenged Israeli women. The apartment was small and rundown, and our group of nineteen could not all fit inside at once. As the day went on, folks from the complex began to bring water and baskets of fruit—it was amazing to see how powerful serving can be; our witness was seen and not just heard! Following the Talmidim Tour, Sharon and I greeted over 60 pilgrims who were joining Chuck for our annual Spring Berean Tour. Four members of our Talmidim group stayed on with us for back-to-back tours. Again, it is amazing to see the power of the Land to change lives! Upon arriving in the late afternoon, we immediately went to our hotel in Tel Aviv, located on the Med, with views of Joppa to the South. Our first night we had a time of worship and orientation. This year we had Deven and Wendy Berryhill, from San Diego, leading our worship and what a time we had singing and worshipping our way through the Land! Our first travel day is always a doozy, as we made our way to Caesarea, Megiddo, Mt. Carmel, Nazareth and finally down to the southern end of Tiberius to the Gai Beach Hotel, right on the Sea of Galilee! The Galilee is inspiring, especially the northern end of the lake, where Jesus spent so much of His time. Every Berean trip visits and works at an IDF base, and this year we stopped in at the 602, a heavy artillery base located on the Golan Heights. Our group divided up and worked along-side the Israeli soldiers and after hours of cleaning, gardening and painting, we shared lunch. The highlight for us was when our group and the soldiers sang the Hatikvah (the Israeli national anthem) together! This memory is seared in the minds of all who join us on our Berean Tours! After three days in the Galilee it was time to head to the Judean desert for a relaxing time floating in the Dead Sea! Before we made it up to Jerusalem, we visited the fortress of Masada, En Gedi, as well as Qumran. As we left Qumran, I knew it was only a matter of time for the tears to well up in the eyes of all my fellow travelers as we emerged from the tunnel on top of Mt. Scopus and beheld Jerusalem for the first time! I often say that Jerusalem is the proof of God’s LOVE! For it is here that we relive that Amazing Love which endured the Cross, so that you and I could be made whole! Ah, the memories of Jerusalem: walking to the Old City at night, visiting the Garden of Gethsemane, walking down the Mt. of Olives, sitting on the Southern Steps, walking both on top of the Temple Mount as well as under it as we made our way through the Rabbinical Tunnels, and always ending our time in the Gar-den, where the Tomb is still EMPTY! It is here that we have a taste of the bread and a sip of wine as we remember Him! I always teach that a trip to Israel can change a life and that no one comes on their own—those who join us are invited by Jesus Himself to walk the Land with Him! 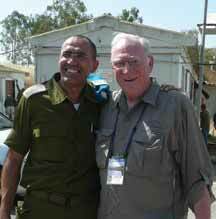 If you have never been to Israel, please join us on one of our three annual trips. Our next tour is the Issachar Tour! This trip is unique as it seeks to give you an understanding of the Israel of today. 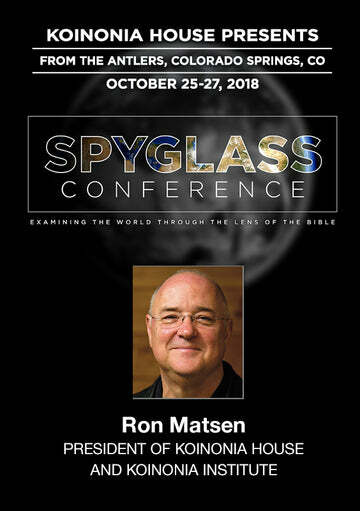 Be-cause of the venues, the speakers, and the nature of this trip (consisting of private military briefings, special intelligence briefings, etc. ), this trip is limited to one bus. This tour usually sells out early, so be sure to see the information on the next page and contact my wife, Sharon, at sharon@khouse.org.